Michael Basilicato has always had a passion for automobiles. His enthusiasm was something both he and his father have always shared. 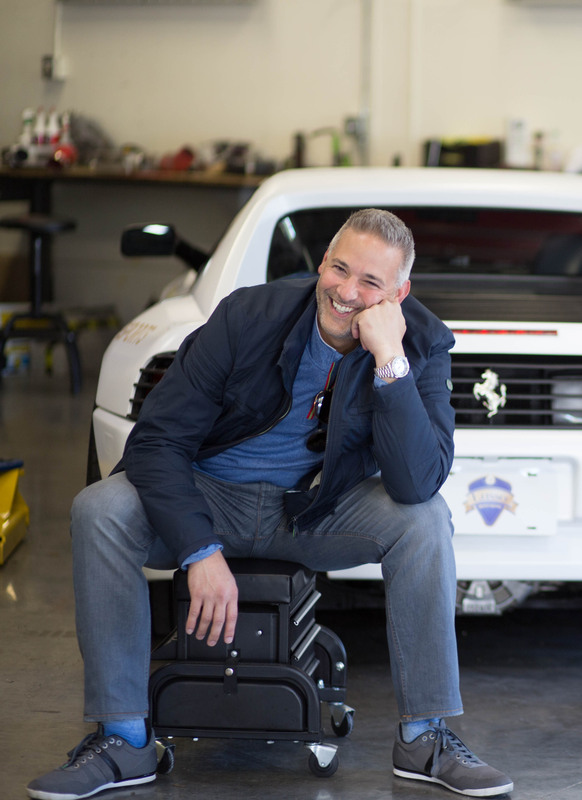 His goal was to combine that enthusiasm with his expertise to create a unique buying service the exceeded the expectations of car buyers and collectors alike. Shopping for a vehicle isn’t always simple. It can be challenging, stressful and tedious. He wanted to develop a one-stop-shop experience that made the buying process a pleasurable one by offering top-notch customer service and a stress-free environment. Michael wanted to create a place where a vehicle can be financed, purchased, accessorized, and have added warranty without any hassle. Lusso Motorsports was born in March 2017 – selling highline luxury vehicles that are affordable for the average client. The name Lusso, meaning LUXURY or LUXURY EXPERIENCE, was exactly what Michael had in mind when was considering the perfect name to describe this amazing, new business venture. In addition to incredible customer service and quality vehicles, integrity is extremely important to him. Michael’s goal was to create a company that had the key elements that he believes it takes to run a successful and prosperous business. • Customer Service – You only have ONE chance to make a first impression. At Lusso Motorsports, our highly experienced and trained staff will do whatever it takes to accommodate the wants and needs of each individual client. We strive for perfection when pleasing a client’s requests. • Cars – The vehicles that we purchase are all vigorously inspected from the condition to the mechanical aspects. – We purchase clean, low mileage sought after vehicles. • Retention – over 95% of clients who come to Lusso Motorsports, return back because of our incredible atmosphere and extremely honest staff. • Experience – We treat all clients with 5 Star service. We have staff members readily available to give tours, answers questions and offer service vehicles when necessary. In October 2017, Michael decided to open a service and performance department, Lusso Performance, as an added luxury to clients. Lusso Performance is making it possible to service any manufacturer vehicle as well as offering a comprehensive list of products from A-Z. Luxury and convenience are being redefined with Lusso Motorsports and Lusso Performance. We look forward to sharing your next car purchase experience with you.